Is there it? Good environment. We think about air of the earth,water,green carefully. Look at the line of products nap which our original technology to support with high safety and reliability glitters. By double purification, I send safer living environment. The gas disposal processes a draft chamber, local exhaust, acid by the machine exhaust, alkali, a solvent, th effluent gas handling of bad smell by combination of the first wet process, dry process with a chemical exhaust fan, a circulation pump, an active carbon throughout the trade. I show a big effect to hydrogen sulfide, ammonia formaldehyde. I prepare the product made in polypropylene. Please experience special scrubber / idea power to shine, technology, flexibility once. To a setting place and a demand and the needs of the visitor including the convenience, I cope. I was equivalent to high temperature effluent gas by making materials made in SUS. I improved maintenance characteristics such as the mine dust by making a filler filter type. Scrubber (high clean) New Sale! I shut out an influenza virus / bacteria (multidrug resistance bacteria)! I sterilize an influenza virus / the bacteria (multidrug resistance bacteria) at the place where most gather, and a hospital / a public health center / public accommodation / a school / a meeting room inactivates it! I always purify it to refreshing air by relief / security. The high clean is a high-performance room air purifier with a few scrubber so far. In three your factories (manufacturer), it produces it with the size (size) matched to the customer's demand. Space to which the laboratory and the installation location become vacant can be effectively used. ・It is possible to produce it additionally the size (width, depth, and height) in space to which the laboratory becomes empty. 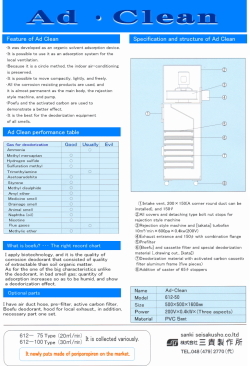 ・A large-scale, small draft chamber can be produced with the fair price (low cost). The visitor of the consultation please inquire by an email an inquiry. COPYRIGHT (C) SANKI SEISAKUSHO.CO.LTD. ALL RIGHTS RESERVED.